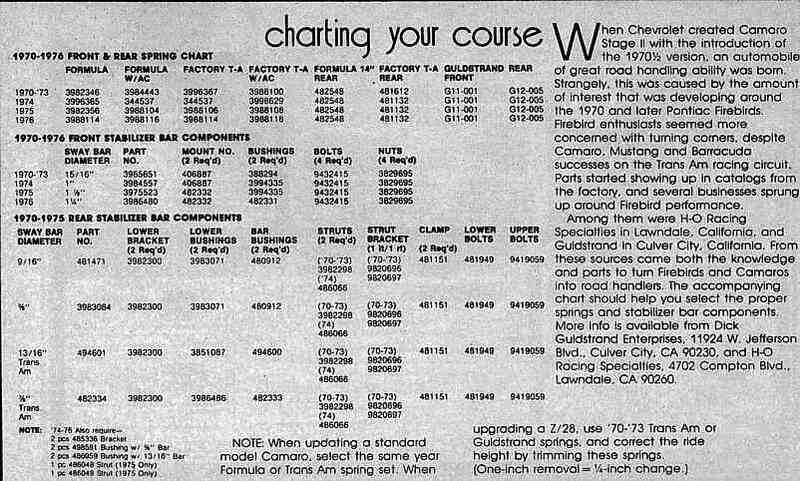 Here is an old mag clipping showing GM part numbers for springs, etc. The larger size bars came on TA Firebirds. I have no idea if any of these parts are still available from GM, but it gives you an idea of what was used.